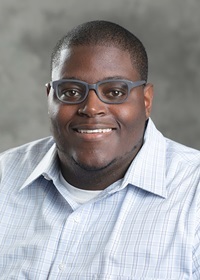 When D’angelo Bragg graduates from the Broad College of Business this spring, he’s already got an amazing job lined up: at Amazon headquarters in Seattle. That opportunity is the result of plenty of hard work, plus many of the leadership experiences he’s had, including those as an IMA® (Institute of Management Accountants) student member. Growing up in the inner city of Detroit, D’angelo didn’t get exposed to accounting until he spent a year at a different high school in Wisconsin. “I struggled with English because I’m dyslexic, but I found that I loved accounting. I enjoyed the challenge of it and knew that it was something I wanted to pursue,” he explained. D’angelo was accepted as an Honors College student at MSU in the fall of 2014. Although accounting was one of the hardest programs to gain entry to, he applied and was accepted to that major as a sophomore. As an undergraduate, D’angelo has sought out prestigious internships. The summer of his freshman year, he attended two leadership conferences with Deloitte and EY. In the summer of his sophomore year, he served as a discovery intern in the Advisory & Tax Practice of Deloitte’s Detroit office. Although the position taught him about valuable accounting concepts, D’angelo decided that perhaps working inside an organization – as a management accountant – might be a better fit. As a junior, he interned during the spring semester at Progressive Insurance in Ohio and during the summer, he was an accounting intern at Marathon Petroleum Company in Kentucky. His interest in management accounting led D’angelo to join the IMA student chapter at the Broad College, where he’s currently the chapter president. His teachers noticed his commitment and one of them nominated him to receive the CMA Scholarship, which covers the exam and program fees for the CMA® (Certified Management Accountant) certification. Last year, he also was the recipient of an IMA Memorial Education Fund (MEF) Scholarship, which provided a financial award to pay for college costs. Currently, he’s actively studying for the CMA exam. When it came time to apply for a full-time job, D’angelo received two great offers: one from a Detroit auto manufacturer and the other from Amazon. Taking the automaker job seemed like the easier choice: “It was right in my backyard, which didn’t appeal to me as much. I figure that I’m young and now is the time to get out of my element and be adventurous,” he said. All IMA student members are reminded about upcoming deadlines for competitions and scholarships, many of which are approaching soon. Please visit https://www.imanet.org/students/scholarships-and-awards for more information.